I am a long term Centralian resident with more than 18 years experience in the financial services industry. Initially, in Real Estate in Adelaide before pursuing a career with Elders Insurance Alice Springs and lending roles with major banking institutions where I gained extensive experience in Home Loans and Commercial Lending here in the Alice and in Darwin. I have a unique set of skills that ensures I understand your lending needs and can provide you with professional advice and personal service. The winner of the MFAA Achievement Award for 2010 is Katrina Parrington from Elders Home Loans - Alice Springs. The Achievement Award recognises the best broker in Australia in business less than 4 years. Home is where the wealth is | The Real Estate Conversation. Reserve Bank Cuts Cash Rate to Record Low! The Reserve Bank of Australia has announced the result of its monthly meeting following a period of in tense market speculation. In what was probably a close decision, board members decided to reduce the official cash rate from 2.25 per cent to a new record-low setting of 2 per cent. Posted in Elders Home Loans - Alice Springs, Elders Home Loans - Darwin, Elders Home Loans - Palmerston, Elders Home Loans Northern Terriotry, Interest Rates, Major Banks | Tagged: Alice Springs, Banks, Broker, Cash Rate, economic trends, Elders Home Loans - Alice Springs, Elders Home Loans - Darwin, Elders Home Loans - Katherine, Elders Home Loans - Palmerston, Elders Home Loans Northern Terriotry, Elders Home Loans NT, Finance, Home, Interest Rates, Investment Loans, Katrina Parrington, Lending, Major Banks, Mortgage Broker, Property Investment, RBA, Reserve Bank of Australia, Residential | Comments Off on Reserve Bank Cuts Cash Rate to Record Low! CoreLogic RP Data’s weekly Property Pulse shows which suburbs have the most affordable median value near the CBDs of Australia’s capital cities. According to the data, the median value for Sydney’s inner city houses is significantly higher than the rest of the capital cities, with Turrella as the most affordable suburb in Sydney having a median house value of $839,676. 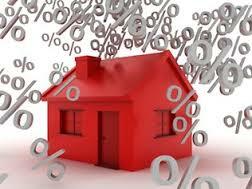 At its meeting today, the Board decided to leave the cash rate unchanged at 4.75 per cent. PROPERTY prices and official interest rates might not rise much more this year, due to the worsening crisis in Europe. Indeed, both could fall. Chaos on the world’s forex, debt and stock markets caused economists and futures investors to revise predictions of more rate rises this year, with the ASX opening betting between traders on a rate cut next month. • RBA keeps rates on hold at 3.75% delivering a surprise pause. • Rate hike cycle is far from over, with further adjustments flagged. • Friday’s Statement on Monetary Policy likely to be the first in a long list of opportunities to outline the path ahead. With zero of the three seemingly ‘anointed’ financial journalists getting off the sidelines, Centrebet ceasing taking bets because the outcome was “as close to a guaranteed certainty as possible” and 20 of 20 economists surveyed unanimously forecasting a hike it is clear that today’s pause by the RBA was a surprise. Over the course of HII 2009 the RBA had been studiously reminding analysts and markets that it was placing a greater weight on the evolution of domestic conditions than weakness in some regions of the global economy. On the domestic conditions front alone a further rate rise would have been clearly justified. House prices are on an upswing, with the residential construction upswing thus far unlikely to meet the surging demands from soaring population growth. Business and consumer confidence are at very high levels, despite three consecutive hikes. The unemployment rate has clearly peaked, and at 5.5% is closer to the NAIRU at the beginning of an upswing than at any time over the past few decades. Skills shortages are already rating a mention as various industries seek to lock in suitable workers for upcoming projects over the course of the year.